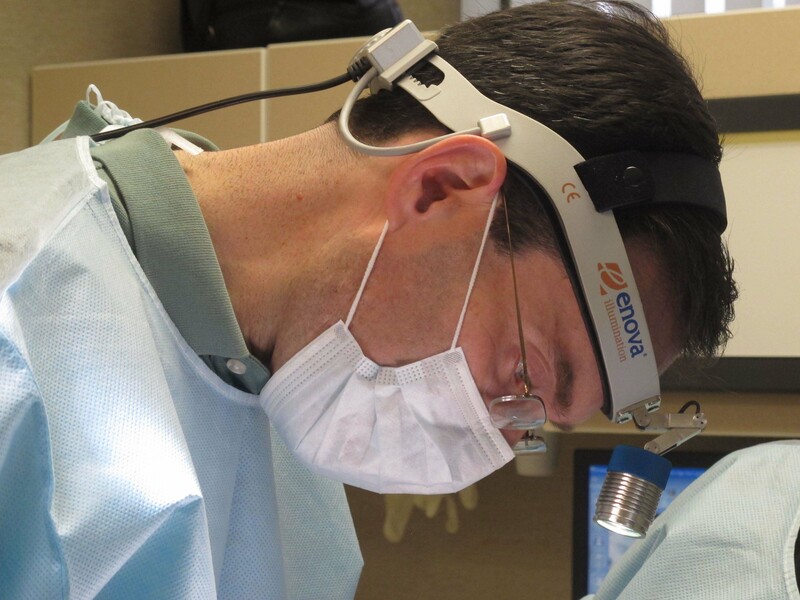 Dr. Peter Protzel wearing Enova’s XLT-125. 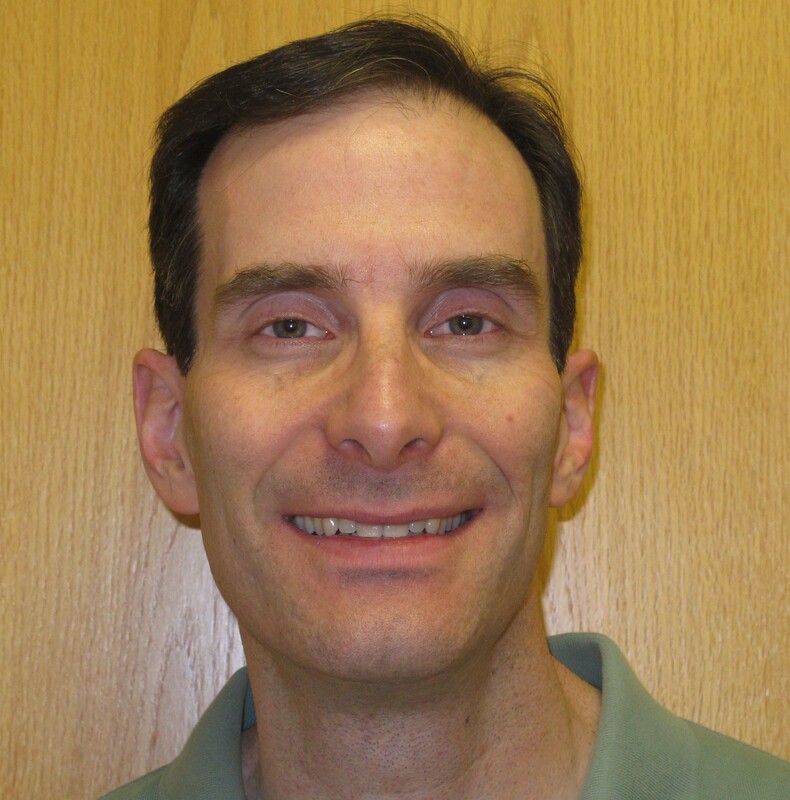 Dr. Peter Protzel, DDS, MD, took time out of his busy schedule to talk with Shedding Light for this month’s feature. He shares a bit about his practice and how he relies on his LED surgical headlight from Enova Illumination. Dr. Protzel: Protzel Oral & Maxillofacial Surgery, LLP, is in Bethpage on Long Island, New York, and has been here for 52 years. My father, Dr. Alan Protzel, founded the practice and is now semi-retired. Here in our practice we have three operatories. I have been practicing here for over 11 years now. With both a DDS and an MD, my main focus of treatment is primarily on extractions, dental implants, facial trauma, bone grafting, Orthognathic surgery and oral pathology. Dr. Protzel: The focus of our practice hasn’t changed dramatically. Our practice has always helped patients who need oral or maxillofacial surgery. My presence in the practice has helped move us forward to a smoother more modern technology-based practice. Dr. Protzel: Light is extremely important during surgery. We do have surgical overhead lights in each operatory, however, the more light, the better. That’s true for most surgery, but I work almost exclusively in the oral cavity and having a bright, dependable headlight is extremely important. Shedding Light:How did you hear about Enova Illumination headlights? Dr. Protzel: Throughout my training I had become accustomed to using a fiber optic surgical headlight. That is in fact what I first used in my practice. Then I encountered the battery-powered LED headlight and thought that was an interesting concept. In fact, I was in the market for an LED surgical headlight when I attended the American Association of Oral and Maxillofacial Surgeons 2012 Annual Meeting in San Diego. I stopped at a variety of trade show booths and looked at quite a few LED headlights. When I tried on the Enova XLT-125, I found it to be very comfortable, lightweight, and was impressed with the intensity of light as well as how easy it was to use. The fact that it is so portable [is what I like best about the XLT-125]. We have three operatories and I bring the Enova headlight with me no matter which operatory I’m assigned. There are two fiber optic headlights in our practice, yet they no longer get used. We’ve retired one and the other is available as a backup. The Enova XLT-125 is incredibly dependable. Not once have I ever had a problem with it shutting off on me. Shedding Light: Now that you’ve had the Enova XLT-125 for a while, what do you think of it? Dr. Protzel: The light intensity of the Enova surgical headlight continues to be very bright. The battery pack is remarkable. I purchased the larger battery pack and I seldom have to recharge it; I probably charge the pack once every seven to ten days. When the digital indicator reaches two or three, I know I need to recharge the battery pack. Dr. Protzel: I use the XLT-125 for every procedure I do in my office. I am constantly putting the headlight on and taking it off. So, in a week, I probably use the Enova XLT-125 for 40 to 50 procedures. Shedding Light:What do you like best about your Enova XLT-125 headlight? Dr. Protzel: The fact that it is so portable. We have three operatories and I bring the Enova headlight with me no matter which operatory I’m assigned. There are two fiber optic headlights in our practice, yet they no longer get used. We’ve retired one and the other is available as a backup. The Enova XLT-125 is incredibly dependable. Not once have I ever had a problem with it shutting off on me. Shedding Light:Have you recommended Enova LED surgical headlights to your colleagues? Dr. Protzel: Yes. I recommend them to my colleagues all of the time. The XLT-125 surgical headlight provides exceptional bright light, is comfortable, and very dependable. Surgeons may evaluate Enova LED surgical headlights for up to 30 days without risk or obligation. To evaluate one of our headlights, simply complete our Evaluation Program Request Form. Someone from Enova will follow up to get you started.